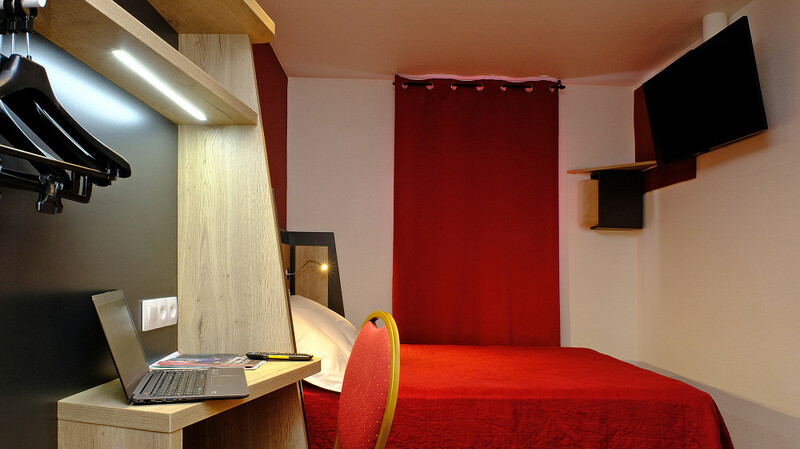 In Hotel has bedrooms with air-conditionning and all mod cons for 1 or 2. 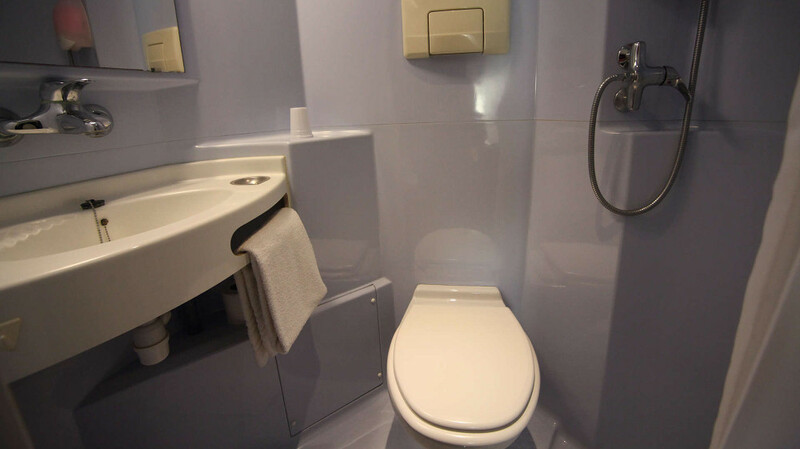 Each bedroom is provided with ashower, toilet and washbasin which all receive special care to ensure complete cleanliness. You will find a comfortable bed with soft pillow. 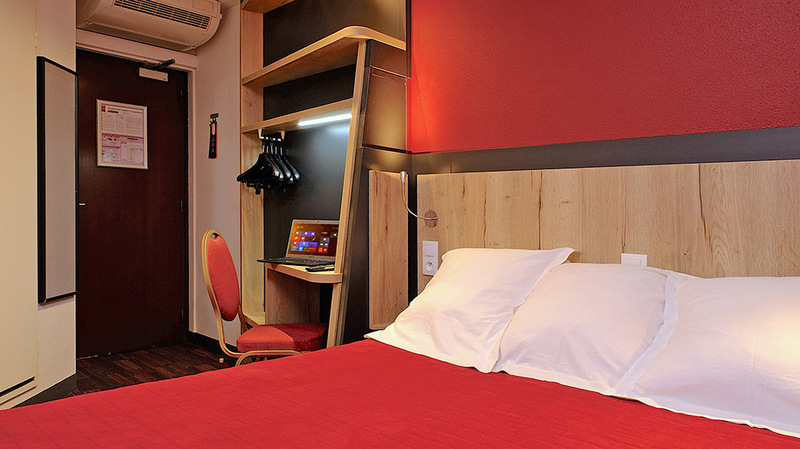 A television set giving access to 38 channels including Canal+ and 16 radio stations is situated in each room. Also available is free hotspot Wi-Fi. All this may bring to your visit a quality worthy of more expensive so called “better” hotels.